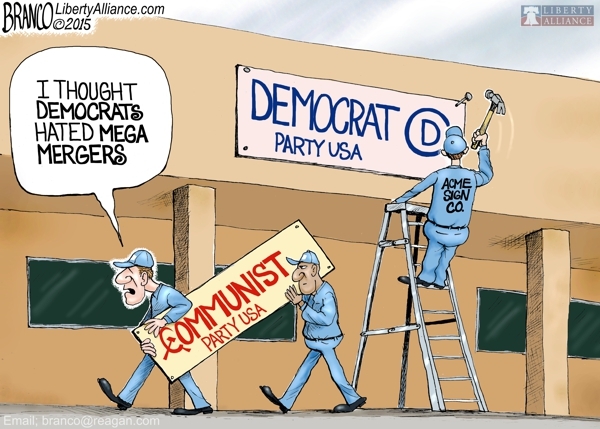 Democratic Communist or Democratic socialist, at this point what difference does it make. Political cartoon by A.F. Branco ©2015. More A.F. Branco cartoons at Patriot Update here.